Everyone knows that acne is embarrassing and unsightly. Teenagers aren’t the only people who experience ongoing acne. Acne can occur late into adulthood and can continue to plague people. If you’re done using creams and avoiding chocolate and fatty foods as well as trying to listen to every myth in the book about acne prevention, Abington Aesthetic may be able to help*. Acne occurs when oil is lodged in pores, causing bacteria to form which causes an acne blemish or a pimple. While most people experience a single pimple here and there, some people have had or continue to have breakouts of acne all over not only their faces, but also their bodies. We can reduce overall acne occurrences with photodynamic therapy as well as reduce any appearance of acne scars with laser resurfacing. If you’ve already been prone to acne and are now dealing with the after effects of acne, you may have an abundance of acne scars. We know that acne scars can be tough to hide or embarrassing to look at. We’ve got the perfect solution for you: laser resurfacing and/or injectable dermal fillers. Even if you haven’t suffered from acne that has left you scarred, we can address other scars and reduce the look of them. We can also provide other treatment options to smooth or firm your skin*. With laser resurfacing treatments such as Fraxel®, you can expect smoother, tighter, and firmer skin immediately after treatment*. 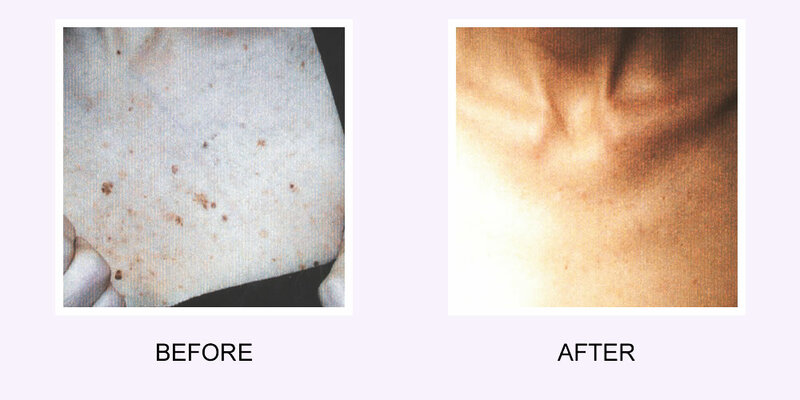 Laser resurfacing treatment for scars can offer extended results, and we suggest a treatment program of 3-5 treatments spaced 3-4 weeks apart*. Our clients often report that their skin may feel warm during the laser resurfacing treatment or they may feel a feeling like an elastic band being snapped on their skin during a laser pulse. Of course, everyone is different, but we can work around any pain or discomfort you may experience during your treatment. We also provide skin fillers such as Bellafill® to help reduce the look of pitted acne scars*. At Abington Aesthetic, we can provide a variety of skin fillers to help meet any need for smoother looking and youthful skin*. Ready to start living with smoother skin*? Contact us today!